Sandwiches are great and all, but they can be tricky to bite into when you are sporting braces. 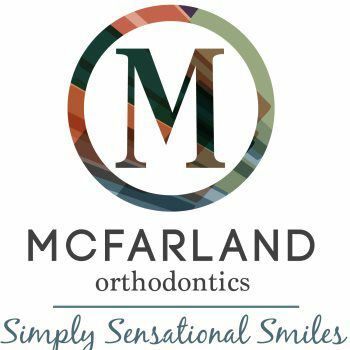 McFarland Orthodontics has been brainstorming some lunchbox alternatives that taste great and are easier to munch on. One of our favorites are these cute mini quiches. I think you'll agree with us that these crustless quiches are delicious, fluffy and perfect for popping into a lunch box...especially when you have braces. * Feel free to switch out the spinach and cheese for other tasty flavor combinations... You could try bacon and cheddar; turkey, swiss and spinach; or a veggie pairing like mushroom, bell peppers and onion! Melt the butter in a frying pan and fry the onion, over a medium/low heat, until soft. Add the spinach and fry for a further minute. Whisk the eggs and cream together and then stir in the cheese. Grease a 12 muffin tray or fill with greased silicon cupcake liners. Add the spinach / onion mixture to the base of each muffin section. Pour the egg mixture into each muffin section. Bake for 25 mins, until set and golden. Allow to cool slightly before removing from tin / case.